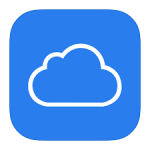 In this short video tutorial we will show you how to set up iCloud on an iPhone or iPad to share content like notes, pictures, emails, contacts, calendar appointments, and even set up a way to locate lost devices. In this short video tutorial we will show you how to create a contact on your iOS mobile device. In this short video tutorial you will learn how to buy and download music, videos, TV shows, and movies on iTunes. We will also show you how to listen to music on your device after it has already been purchased…. 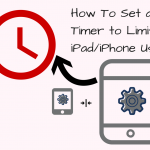 Parent Tech Tricks – Use Clock App to Set Limits! In this video tutorial you will learn how to share contact information from your iPhone or iPad by message or email to another person instead of texting it or re-entering the information. In this screencast tutorial you will learn how to attach an picture or video to an email using the mail app from your iPad. In this video tutorial you will learn how to print an email using the mail application on your Apple product (iPad or iPhone) with iOS 8 operating system. In this video tutorial you will learn how to forward an email using the mail application on your Apple product (iPad or iPhone) with the iOS operating system. In this video tutorial you will learn how to delete an email using the mail application on your Apple product (iPad or iPhone) with the iOS operating system. 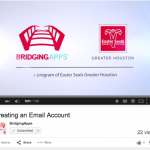 This video tutorial instructs how to set restrictions on iPhone, iPad and iPod Touch Devices. In this video tutorial you will learn how to reply to an email using the mail application on your Apple product (iPad or iPhone) with iOS 8 operating system. In this video tutorial you will learn how to delete an app from your iPad or iPhone that you no longer need using the iOS 8 operating system. In this video tutorial you will learn how to write an email using the mail application on your Apple product (iPad or iPhone) with iOS 8 operating system.